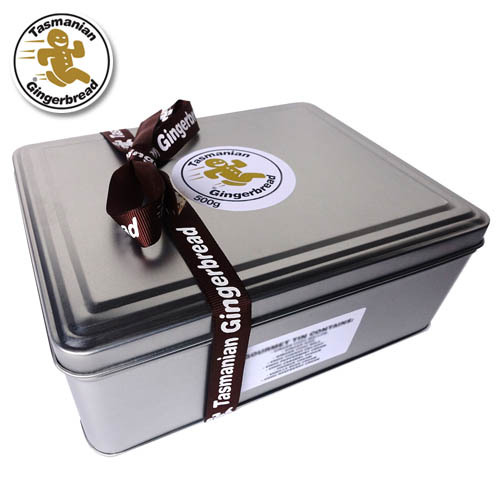 Gingerbread Selection - in tin. 500g assortment of our gingerbread range, including original, triple strength, chunky, choc dipped, and iced biscuits. Makes an ideal gift. Crystalized Ginger,Choc chips, cherries, milk chocolate. White icing contains egg white powder.